There are two main types of locks that are commonly found in use, today. These are cylindrical and mortise locks. A mortise lock is made up of a (rectangular) “lock body” that will fit inside a pocket (mortise), which is the same shape as the body and has been cut into the door. Here, the lock body consists of the actual working parts of the lock. This can include the; latch, handle/knob and/or deadbolt. The actual frame of the door, upon inspection, will show a metal plate that is flush against the door frame, while being screwed into place. The plate will have an opening that the locking device (commonly – a steel bolt) will slide into, when the lock is turned by its key. These locks were, in the past, mostly found on old buildings. However, their excellent level of security is making them more popular these days. The lock’s body – The actual locking device that can be found inside the bored mortise. The lock trim – This is used to open the door (pulls, handles, levers, doorknobs). The strike plate – This lines the frame’s hole, where the bolt will insert, when the door is locked. The keyed cylinder – This houses the parts which operate the lock’s unlocking and locking functions of the lock’s body. As you might imagine, mortise locks, like every other type of lock, will have its benefits and drawbacks. 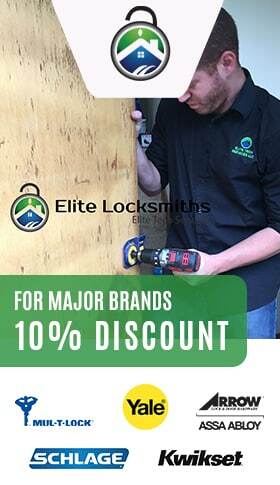 The most significant drawback can be the amount of expertise needed to install the lock. That’s because the door frame needs to be precisely carved out, in order to hold the lock body. A good fit can require the proper tools and woodworking knowledge. But it should be noted that even though the bored hold may weaken the door’s structure, the actual lock is stronger than a common cylindrical lock, which is also bored. A professional locksmith can ensure that the bored hole and other aspects of a mortise lock are properly installed, in order to get the most secure lock installation.